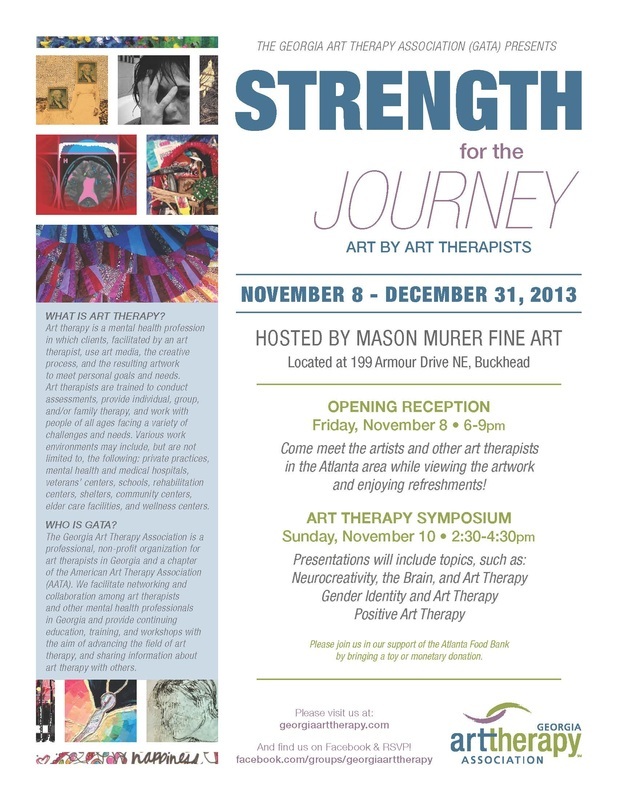 I am writing to remind you of our upcoming exhibition, STRENGTH FOR THE JOURNEY: Art by Art Therapists, at Mason Murer Fine Art in Atlanta! 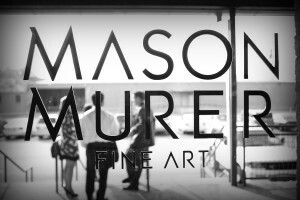 We are very excited for this excursion into the fine art world, and we hope that you are, too! It will be a fantastic way to get some information out into the community about art therapy, and to widen our circle of support and information. Please join us for the opening, next Friday, November 8th, from 6 - 9 pmAND for a symposium about art therapy at the gallery space on Sunday, November 10th, from 2:30 - 4:30 pm. We are trying to get a rough headcount for the Sunday symposium, if possible, please let me know if you're planning on attending!